Mindfulness is noticing what is happening to you right now. For this week's You Can Do It program, our Year 5 Primary students learnt about mindfulness. 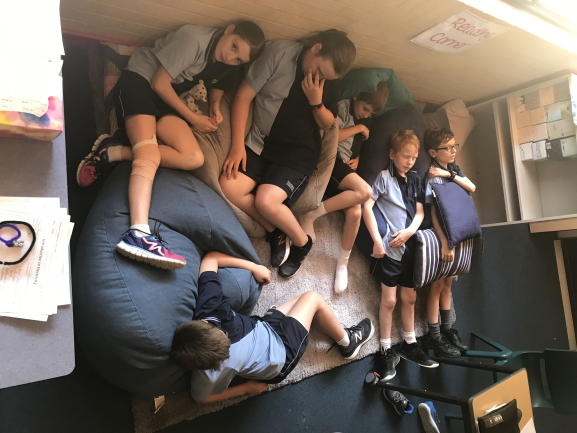 Our Year 5's learnt that mindfulness is when you focus your attention away from what you are thinking and feeling inside and any distractions. You notice what you are thinking, how your body feels, what you see, smell and taste. You notice the parts of your body that feel tense or relaxed. Mindfulness helps you to calm down when you are upset. You can make better decisions, be confident, resilient and achieve your goals. We also learnt about the difference between being 'mindful' and 'mind full'. When our mind is too full, it's difficult to concentrate, sleep and stay calm. 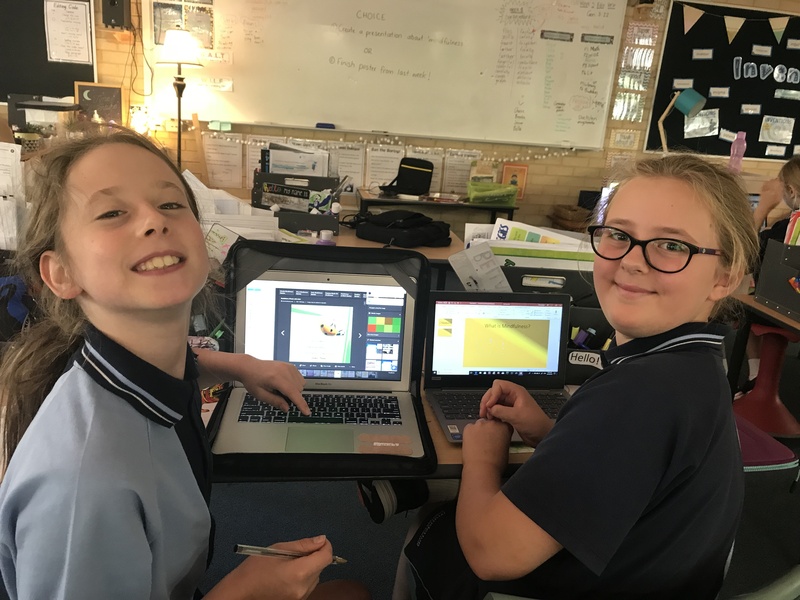 Below is a picture of Bella and Talia working on their 'mindfulness presentations'. Alll parents have been emailed the login details for the YCDI website. The website provides latest research-proven resources for developing positive and effective parents as well as socially and emotionally capable young people.